Please note that Ofsted inspect the nursery provision under the Early Years Register, but do not inspect the Tutorial Centre. “Thank you Robert for our daughter’s great (exam) results – we are delighted!! After School Homework Club, known as “Staunton Kids Club (SKC)” – supervised prep/homework sessions, without specific instruction, but staffed by Staunton team member. This after school provision is childcare qualifying rather than actual tuition. Children may undertake general or exam preparation homework under the watchful and caring eye of a level 3-6 qualified staff member. Attending homework club at the Centre means less distractions than at home and can take the pressure off parents. Although some secondary schools will request parents not to have their children tutored, especially for the 11+, local private schools and some Lincolnshire feeder schools teach 11+ Reasoning skills as part of their curriculum. This means that children who attend Nottinghamshire or Leicestershire state primary schools are at an unfair disadvantage. 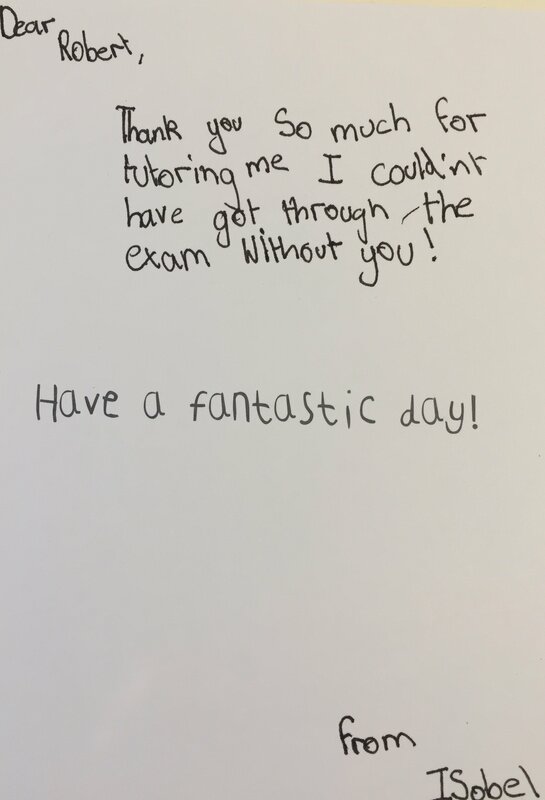 By Tutoring in a small group and focusing on enhancing a child’s underlying academic performance and their ability to attain well in exams, at Staunton Tutorial we offer children sustainable benefits. An academic assessment is offered initially, usually in Year 4, to determine how a child may find preparing for the 11+. As the 11+ is a very difficult exam with very specialist content, it seems very helpful to give a child every possible prospect of passing rather than throwing them in at the deep end. Some bright children who are not tutored or prepared can make silly mistakes such as missing out a page or misinterpreting a question series and this can mean failure for them. Staunton Tutorial students who pass their 11+ go on to thrive in the stimulating and high quality environment of Grammar School. At the Centre we do not permit or encourage any 1-to-1 ‘spoon feed’ tutoring which might go against the spirit and principles of the 11+ examination. The tuition centre was designed by Heritage Architects Marshall Sisson using Green Oak Timber Frame construction for sound ecological development. Children usually attend the tutorial in a small group. One to one coaching is available in special cases. All teaching is carried out by experienced tutor, Robert Staunton, who trained as a teacher at the University of Cambridge. “I just wanted to say thank you for the last year with Sam and being patient with my million and one questions! Staunton Tuition Centre Term Dates and Schedule. Information about Tuition Ethos & Grading System for Parents. References and Testimonials from Parents and Children at the Tuition Centre. “Thank you for all your help and encouragement. 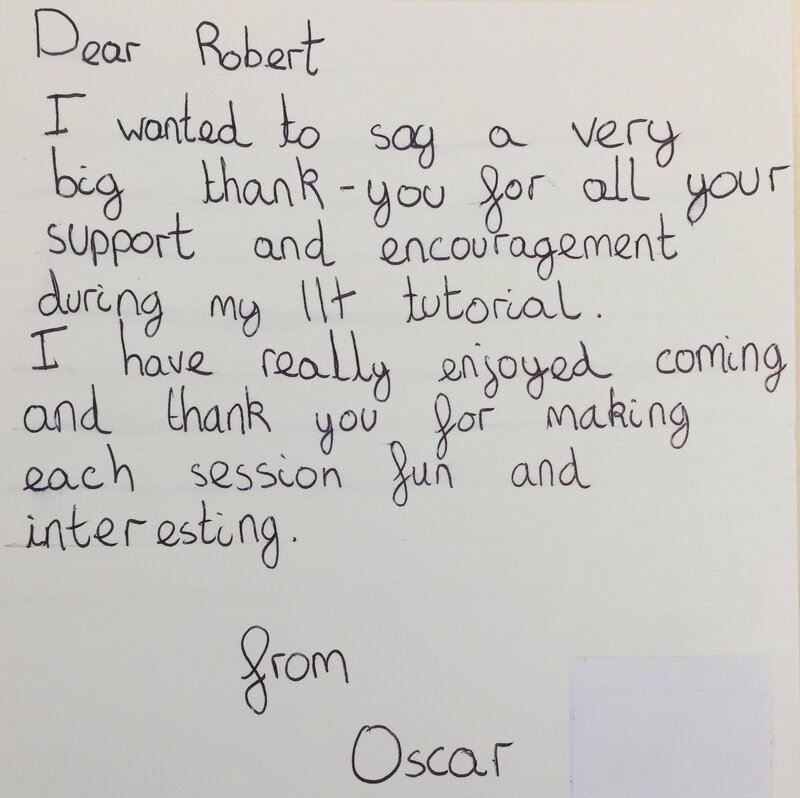 I have enjoyed all my lessons.” From H.
“Thank you so much for helping me in the 11+, I couldn’t have got this far without you.” From J. “My daughter was behind but is now catching up. She jumped 3 sub levels this year. Best of all, her confidence has grown. For me, that is the main thing. My daughter received her report. She scored slightly above average for reading and writing but bang on average for maths. I was worried about her maths last year, so from where she was, to where she is, is good progress. She enjoys maths now and that is why we came to you, truth be told. We don’t expect you to work miracles in 45 minutes but we hoped you would give her a different view of maths, which you have. You made it less daunting and frightening for her and she has more confidence to think she can do. Thank you. School didn’t do that and still don’t but my daughter enjoys your tutoring and willingly works with me at home. I follow your guidance. School have noticed my daughter’s maths development and specifically commented on it. “We would like to send our sincere thanks for all the support and skills you have given to George. 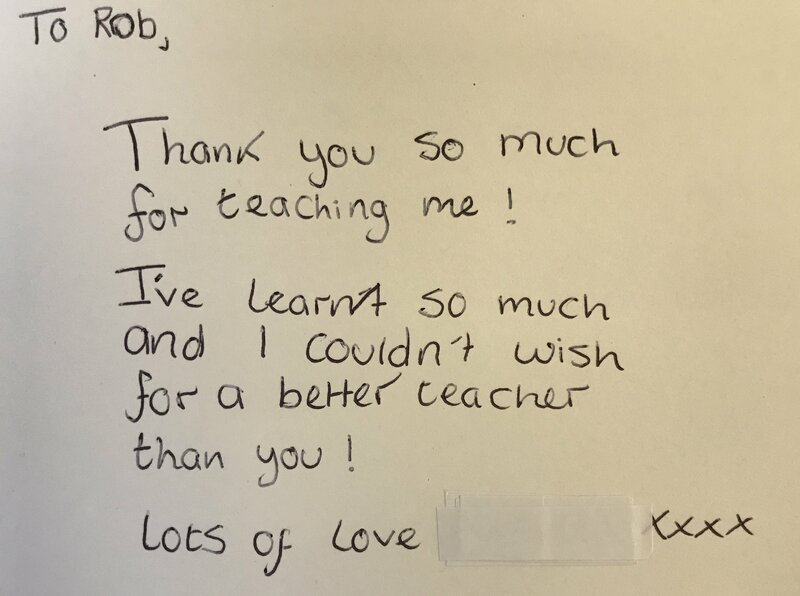 We have seen a real difference in his attitude to learning and his ability to work independently. He has thoroughly enjoyed your sessions. Getting him to the centre was never a chore and he was always buoyant afterwards. Although as parents with busy lives it’s been a challenge to get him to you it has been worth it. So thank you again, N. and C.
“Robert, Delighted to have received the letter from King’s School this morning with _____ 11+ results. He scored _____ on the verbal test, and _____ also on the Non-Verbal, leading to a total score of _____. Regardless of that percentage, he scored way above the qualifying mark of 220. We are immensely proud of him for all his hard work. “Hi Robert, I hope you are well. I’m delighted to tell you that _____ passed her 11+ exams. Thank you so much for all your coaching and help to enable her to achieve this.